National Public Radio (NPR) released an investigation early this year regarding people with intellectual disabilities and sexual assault. The numbers were, unfortunately, appalling. 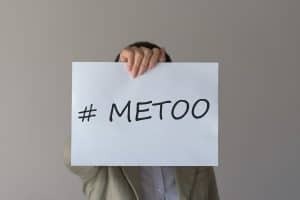 As the United States deals with an ugly period in history with the explosion of #MeToo, our most vulnerable population seems to be left behind. People with intellectual disabilities are more likely to be assaulted by someone they know and during daytime hours. Predators target people with intellectual disabilities because they know they are easily manipulated and will have difficulty testifying later. This sexual abuse may go unrecognized and unreported by the victim, leaving the abuser free to continue assaulting other victims. Police and prosecutors are often reluctant to take these cases because they can be difficult to win in court. Many people with intellectual disabilities may have trouble speaking, remembering an exact time sequence, or certain details. These facts make people with disabilities one of the most targeted populations for abuse by predators. In June, NPR followed up on their report with a more optimistic article about how many states are now attempting to rewrite or add legislation to better protect victims with intellectual disabilities. Citing NPR’s original report, many cities and states want to improve these dismal statistics. The majority of the reforms aim to make it easier for police and prosecutors to investigate cases of sexual abuse and successfully take them to trial. In Pennsylvania, a proposed law to make it easier for victims to testify in court, setting circumstances where a victim may testify outside of the courtroom. In Massachusetts, a proposed registry of abusive caregivers, regardless of whether the case was prosecuted. In California, although the legislation ultimately stalled, a pilot program that would have given prosecutors more money to devote to these types of crimes. In Congress, legislation was introduced to guarantee continued federal funding to prevent sexual abuse of women with intellectual disabilities. Several states are spending more money on training for staff to better spot abuse, and teach about healthy relationships. Many advocates also want sexual education training required for those with disabilities, a class that is often skipped because schools think they can’t understand the discussion. If you are the parent or guardian of a child or adult with intellectual disabilities who was sexually abused, the attorneys at Taylor & Ring can help. These types of cases are extremely sensitive, and our Los Angeles lawyers are experienced and compassionate. We can protect your family and work to ensure that not another person is victimized again. Call us today at 310.776.6390 or complete our contact form to schedule a consultation.